A lovely little plugin that will add saved library layouts straight onto a page or post. All you have to do is set up your library items, navigate to the WordPress dashboard for posts or pages and hit NEW FROM LIBRARY – choose your layout and as if by magic, the page appears with the layout already there – its great for noobs and professionals alike. 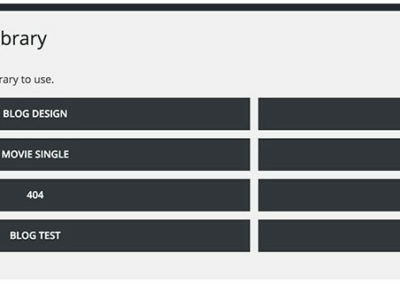 Imagine the development time you will save by using this great little plugin from Tortoise IT! If you hand your site over to a client and want them to get the best from their blog/news pages for instance, you can create a layout for them to use. Often it’s hard enough to convince someone to use WP at all, let alone teach them to add a new post, add the divi builder and add from library. Something always goes wrong. Using this new little plugin you can just tell them to click ‘New From Library’ and select the layout.. Job done. 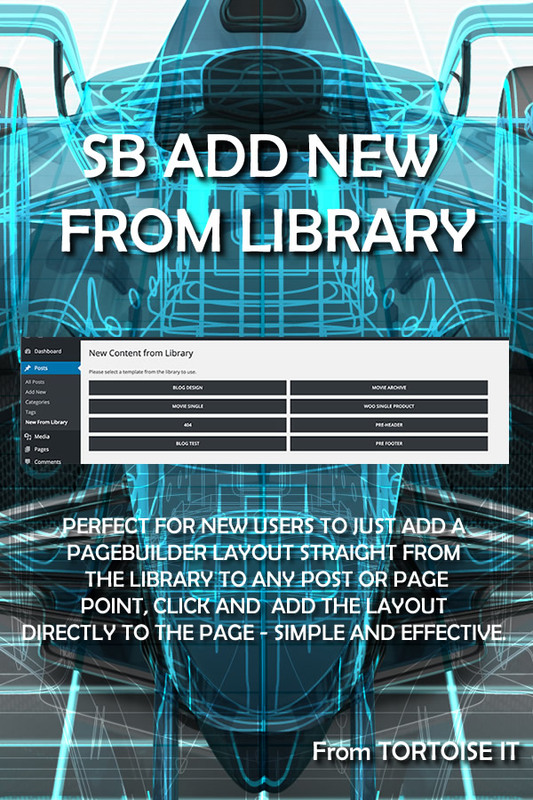 Once they click the layout they want, it will take them to the ‘add new’ page, enable the Divi builder, select the layout and load it in ready for them to edit the content and publish as they see fit. It’s quite simple but it will save you some support burden and makes things feel a bit more integrated.